Is your bracket set? Which team is going to win it all? March Madness starts today, which means lots of TV and snacks are likely in your future. But instead of spending hours in front of the TV, get active and encourage kids to as well. 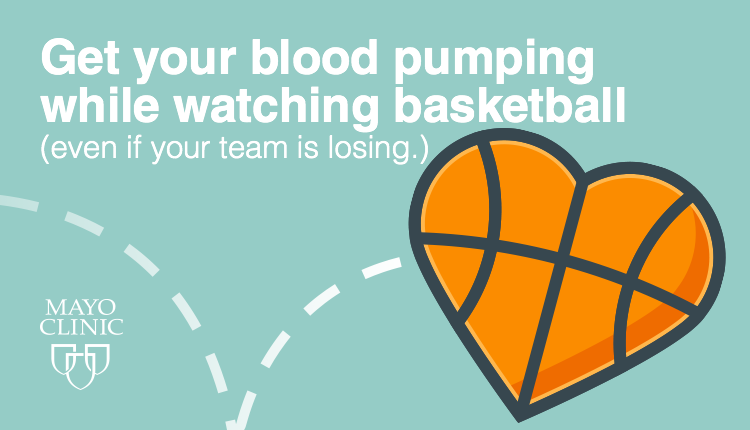 Activities such as crunches, high knees, squats or stretching while watching the game can help you be more active. Mayo Clinic suggests that kids should get at least 1 hour of physical activity per day. So while jumping around or indoor hoops in the living room isn’t good for the furniture, it’s great for your kids.